I grew up in Arlington, Texas and obtained my novice ticket in 1973 with the callsign WN5GMD. I retested in 1986 and received the callsign N5JWU. I kept this call until the vanity callsign system was introduced and I received my current callsign. 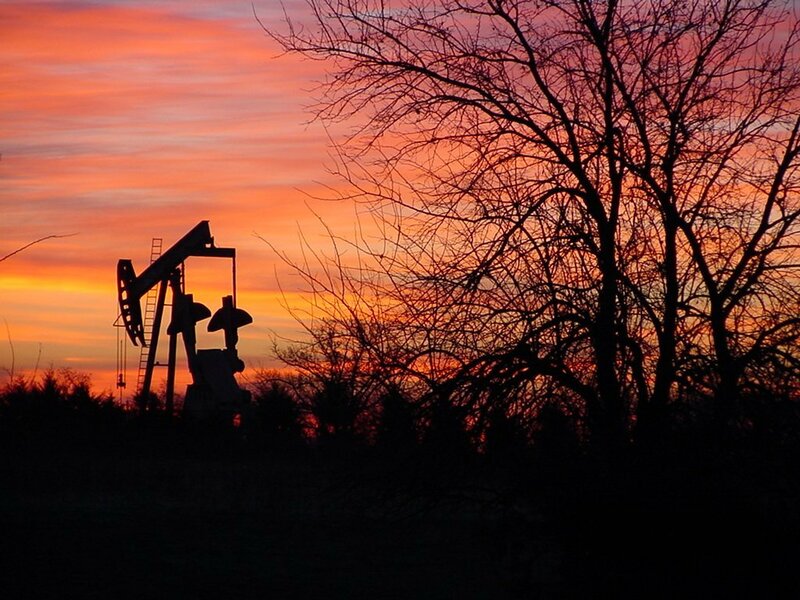 I have an Master of Science in Geology from Texas Tech University and have worked as a petroleum geologist for the last 25 years. Living in Oklahoma, an active interest in meteorology is almost a necessity. I have a Davis Vantage Pro II at home with a live internet link. Weather data from the station is uploaded every 5 minutes to the Weather Underground web site. 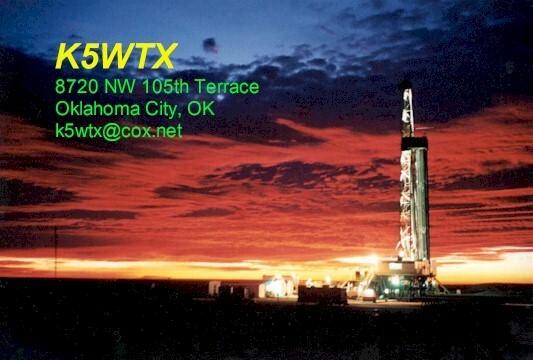 My station name is NW Oklahoma City and my ID is KOKOKLAH25. APRS weather data from my station is also sent via internet to Findu.com. My station ID is my Callsign K5WTX. As a geologist, I have always had an fascination with the outdoors and my favorite vehicle to get me there is the venerable Jeep. I have a 2005 Rubicon that I use for trail exploration and 1992 Renegade that I use as a daily driver. I am not a serious rockcrawler or mudslinger, I just enjoy taking established (TREAD LIGHTLY!) trails to get to a fantastic view. The Rubicon has been fitted with a 2.5" lift, 12000# Mile Marker hydraulic winch, dual red top Optima batteries, and an SPOD electrical distribution system. It is also equipped with an ICOM 706 MKIIG and a High Sierra Sidekick antenna for HF, an ICOM IC-901A for 144, 220 and 440 and an Mopar RB1 in-dash NAV system. The Renegade will soon have an ICOM IC-900A for 144, 220 and 440 also. Like many other hams, I started out as a CB radio operator in 1972. I continued to be active in CB even after I received my first ham license in 1973 and let it lapse in 1975. The rig that I lusted for the most was the original handwired TRAM D201 but I couldn't afford it. Please check out my TRAM D201 page for more information. I have only one vintage general coverage receiver that I use for the occasional short wave listening. 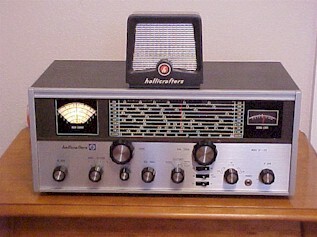 The SX-133 was the last model tube type general coverage receiver that Hallicrafters made and is relatively scarce. This SX-133 was made in 1970 and was purchased from B&A Electronics in Tulsa, Oklahoma. I enjoy collecting all types of vintage semi-automatic telegraph keys or "bugs"'. These keys were used to send high speed Morse code before the advent of electronic means. I currently have 50 "bugs" in my collection. Click on an image below to see the larger version.